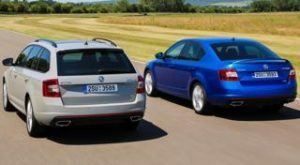 The Skoda Octavia vRS has been added to the Scheme this quarter as a saloon or estate, engine choice is between a 181 bhp 2.0 litre diesel or a 217 bhp 2.0 litre petrol. The vRS is only avaialble with a twin clutch six speed DSG gearbox. 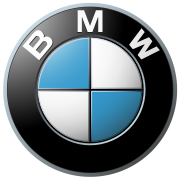 The petrol saloon car can reach 62 miles per hour in 6.8 seconds and hit a top speed of 154mph while offer a claimed economy of 45.6 miles per gallon. The Diesel car can cut the tape in 7.9 seconds and return a claimed 60.1 mpg. All Cars are priced at a competitive £1995 Advance Payment. 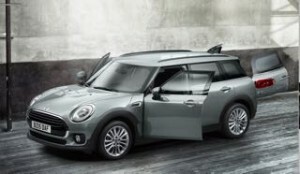 The stylish and surprisingly spacious Clubman has been reduced by up to £800 this quarter, prices now start at £499 for the manual car and £1299 for the Automatic. 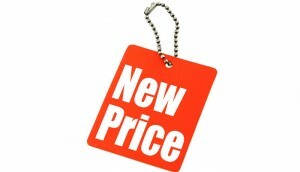 The new price guide is now available here giving a breakdown of all the Q3 prices. In Short – Three new cars to the Scheme, The Mazda MX-5, the Suzuki Baleno and a return for the Audi A3 in hatchback form. The search tool is now up to date, click on the logo or here to be taken there, be sure to pop back and join in the discussion. 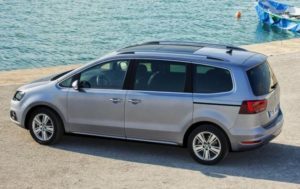 The seven seat Alhambra has been reduced in certain lines this quarter to unprecedented levels, A 2.0 diesel manual in SE trim with 150bhp is only £299 Advance Payment, a reduction of £1050, while an automatic Alhambra can be yours in S trim for £499 or with power rear doors in SE Lux trim for £1099 AP. 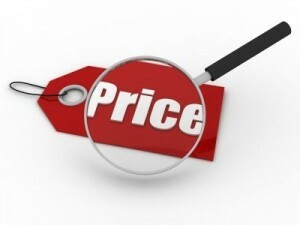 No price list issued, full prices online here. XC60 prices drop by £100 for front wheel drive automatic and £200 reduction for D5 AWD R-Design lux Nav to £1799/£2799. The V40 is changing over to the new 2017 model and as a result of production delays only petrol cars are available presently. Click Here or on Logo to open new Hyundai price list. Santa FE remains on Scheme with no price change, Tucson prices remain stable or up £50, i30 tourer is now even more expensive, up £300. Click Here or the logo to open a pdf of the full Nissan prices. The Electric Leaf withdrawn from the Scheme as a result of the £5000 Government Grant reaching its 50 000 unit limit, a new Grant is coming into effect so we hope to see a return for the Leaf. No change in price for X-Trail, Note or Juke, Pulsar increased by up to £100, Qashqai has reduction in 1.5 diesel Acenta to nil advance payment from £99 but the 1.2 petrol increases to £99 from Nil, the N-Connecta trim cars see a £200 increase in Petrol but you can still get a top trim Manual 1.5 diesel Tekna with Panoramic glass roof for £599 AP. Click Here or on Logo to open a pdf of the new Ford Q3 Prices. £200 reduction on Grand Tourneo Connect, £50 off Focus ST, £200 off S-Max, £95 off EcoSport, up to £200 off Kuga and up £100 off the Fiesta and B-Max. 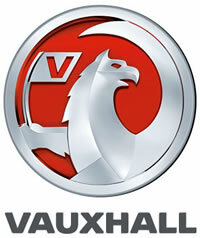 Click here or on the logo to open new Q3 Vauxhall Prices. Increases of £50 – £150 for Astra, Mokka, Zafira and Insignia. £100 discount on top end Insignia and no change for Corsa, Meriva and Adam. New Motability prices will be released on Friday 1st July 2016, will see the release of the Quarter 3 (Summer) Motability prices. Please post your comments and ask questions at the bottom of the page as we are all here to help each other. We are fortunate to have some regular contributors, that we really value, who are kind enough to impart their knowledge. The Quarter 3 (Summer) price period is from July 1st and runs through to 30th September 2016. From Friday Midnight we will update you on all the movements (up and down) on this page, we will continue to post the War Pension (WPMS) prices alongside the DLA/PIP prices. WPMS weekly payments are presently £64.15 compared to £57.45 for DLA/PIP therefore Advance Payments are around £1000 less than those of DLA/PIP. Even with this extra award there are no more cars available to War Pensioners. Every movement up or down on the previous price can be tracked with our little arrows. means the price has increased (if you place your mouse on the arrow you can see by how much the price has increased) and if the price has decreased you will see a green arrow or is there is no change in price the arrows will be side by side . The recent referendum and the resultant mandate to leave the EU will not affect the Scheme as it is controlled by the British Government. There are obviously wider issues to the Car Industry as Britain’s biggest export to the EU is automotive parts, and as auto parts are exempt from the World Trade Organisation accords Europeans would be free to discriminate against them with tariffs. 40 per cent of cars made in the UK are exported to the EU, while over 730,000 UK jobs depend on the motoring industry. There is clearly a lot for the new Prime Minister to sort out. We call on Motability to clear up the confusion at the level of deposit a Dealer can ask for once a car is ordered. Some Dealers do not ask for a deposit at all while most will ask for between £100 to £250, we feel a flat £100 is a reasonable amount to stop Customers changing their mind and inconveniencing the Dealership. The level of deposit required is solely at the discretion of the dealership and as we know there are good and bad ones, the one that asked the customer for a £1000 deposit against a £499 Advance Payment should hang their head in shame, we we flabbergasted when we were informed. We feel that the Scheme has never been stronger as the range of vehicles avaialble to choose has never been wider and the prices are generally realistic. There are a few cars we would like to see added to the Scheme, Mazda CX3 and CX5 along with the Honda HRV and sadly it looks like we will have to wait until October Q4 for the new VW Tiguan to be added.